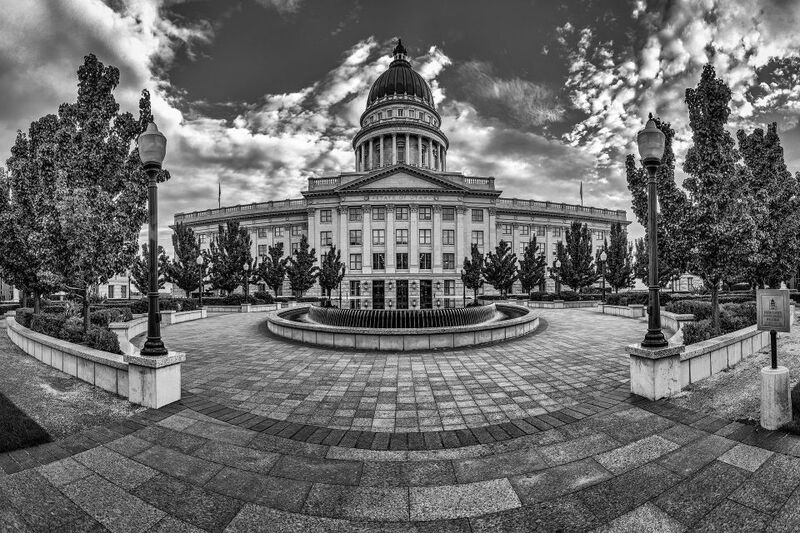 The inner gardens of the Salt Lake City Capitol Building provide an inner sanctuary to a political experience. As day turns to night, a peaceful feel takes hold of this urban environment. As seen in black and white.